Chestnut Street was a corridor of chilly breezes and freshly made puddles. Pools of light glimmered off the slick pavement. All was quiet and cold. Suddenly, the pulse of hundreds of footsteps began to liven up the empty street. 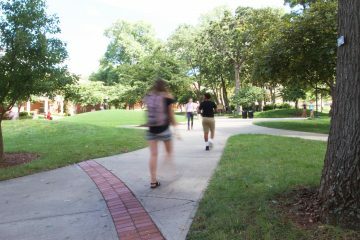 People were drawn, as if by magnetism, to the lawn of the Alpha Gamma Delta house. The once sullen street swelled with a singular spot of warmth. 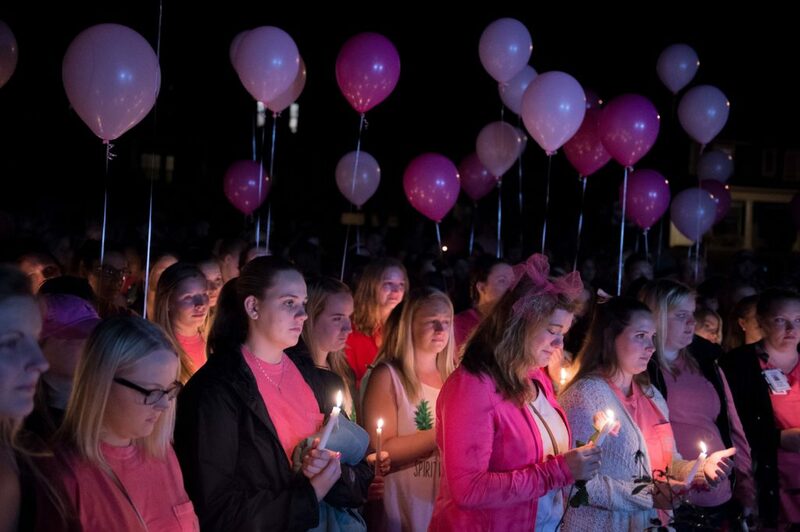 Friends, fellow classmates and sorority sisters joined in honoring the life of Louisville senior Stephanie Campbell, who passed away in a tragic car accident on Sunday, Sept. 25. 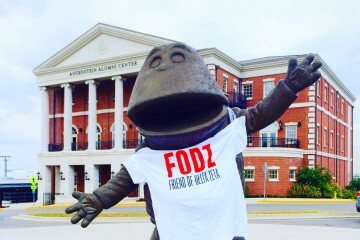 Jasper, Indiana senior Melanie Martin, the president of WKU’s AGD chapter, led the vigil, as friends and sorority sisters shared stories of favorite memories and fun times. 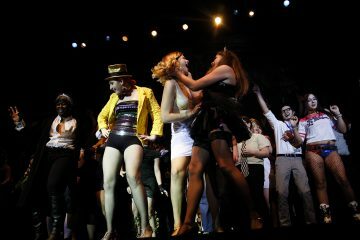 They talked about Campbell’s love for Homecoming and her even deeper passion for dancing with her sisters in Shenanigans. Even those who knew Campbell on a less personal level commented on her infectious smile, elegance and poise. Her sorority sisters admired her goal-oriented mindset, and those in her pledge class mentioned looking up to her. 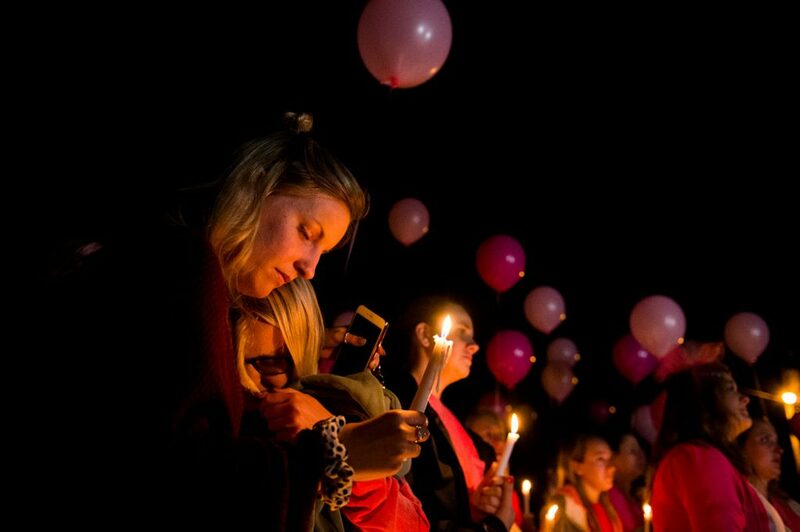 As the lawn filled with candle-lit faces, it was clear that Campbell was truly loved by many. Although there were tears, the circle of supporters radiated mostly with laughter and warmth. This was not a time for mourning a loss but rather celebrating a life. Many times, Campbell’s sorority sisters mentioned how much she would have enjoyed having everyone she loved together in one place. 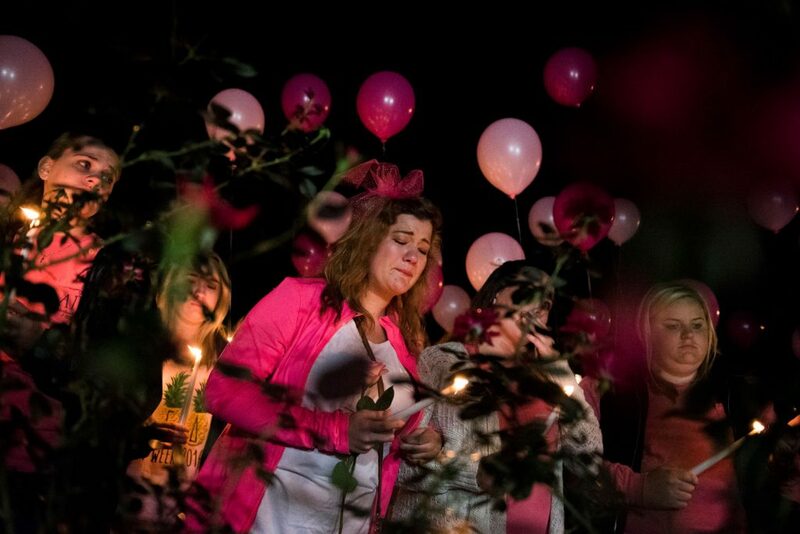 As the vigil came to a close, people shared their final words, and pink balloons were released into the air toward the stars, which had appeared despite the cloudiness of the day. The candles were blown out, but still, the warmth was present. Friends shared hug after hug then finally walked in large groups back down the empty corridor into the black night. 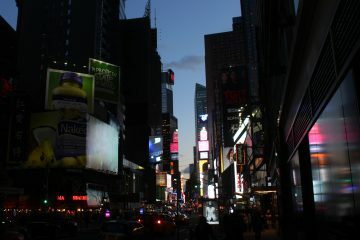 The street was quiet again, but a residual glow remained. It left the night a little bit warmer for some. 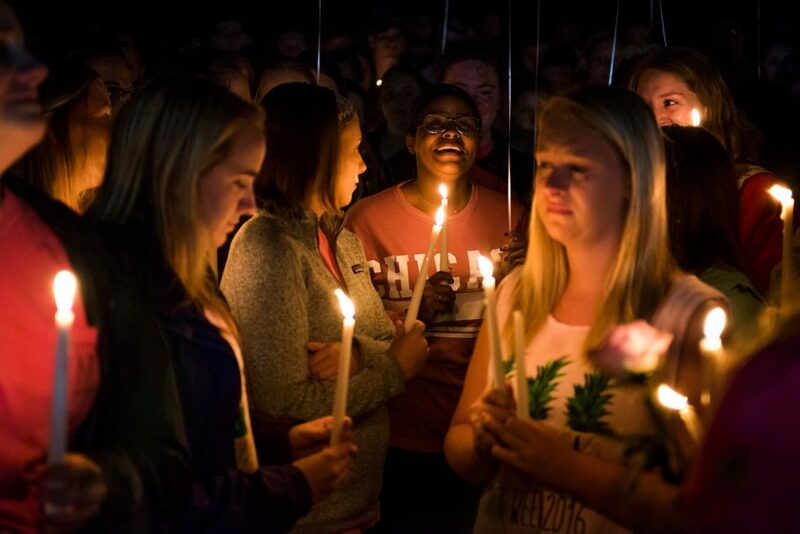 Mourners gather to honor Stephanie Campbell in front of the Alpha Gamma Delta house at a vigil on Sept. 28, 2016. 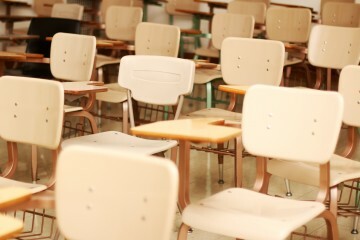 Campbell died in a single car accident in Grayson County on Sunday. Over 170 mourners gathered in honor of Stephanie Campbell in front of the Alpha Gamma Delta house. They sang songs and shared their favorite memories of her. Hayley Hoback and Izzy Rager comfort each other during a vigil for Stephanie Campbell in front of the Alpha Gamma Delta house. Rager was Campbell’s roommate. 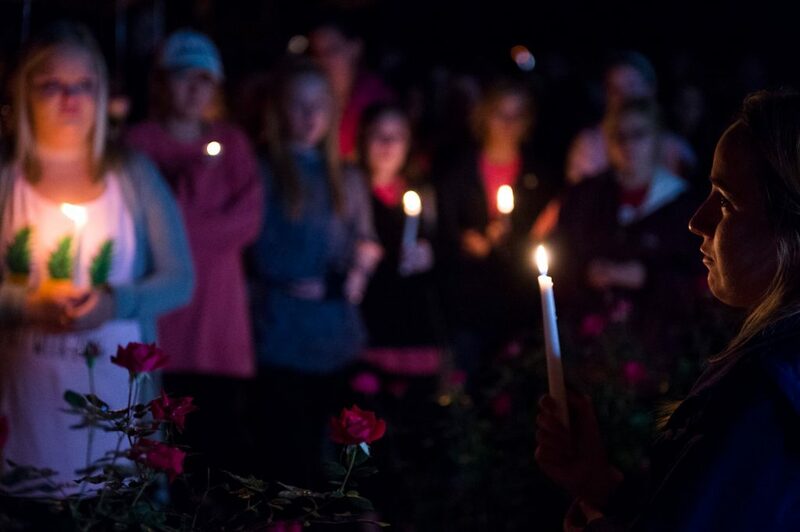 Alpha Gamma Delta alumni share with hundreds during a vigil to honor Stephanie Campbell in front of the Alpha Gamma Delta house. Alumni were joined by Campbell’s classmates, sorority sisters and friends from high school and college. Flowers are left at a memorial for Stephanie Campbell in front of the Alpha Gamma Delta house. 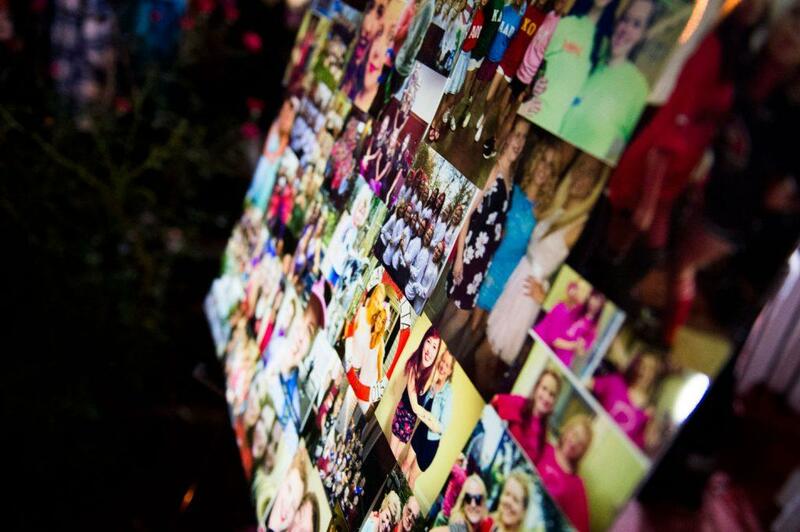 Her sorority sisters encouraged everyone to honor her memory by looking at photos of her and leaving a token of remembrance. 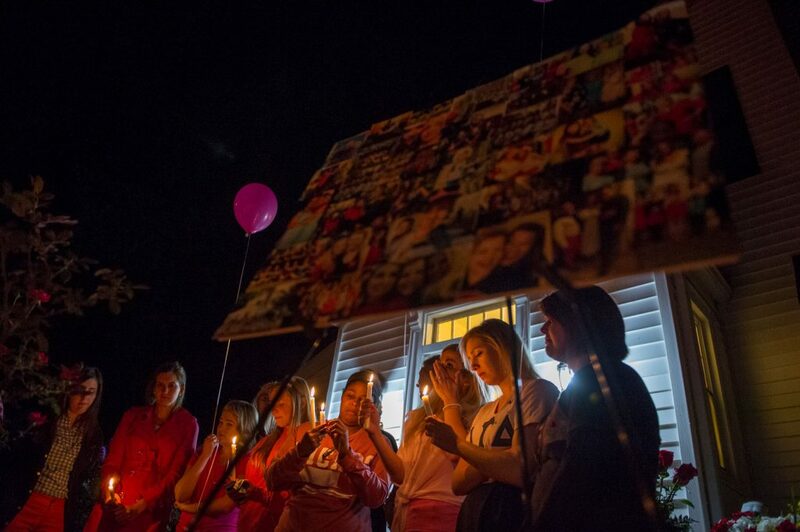 Photos of Stephanie Campbell are displayed during a vigil in front of the Alpha Gamma Delta house. Photos were donated by friends and pulled from Campbell’s social media accounts. Winchester senior Alex Schwab holds back emotions as friends and family talk about the moments they shared with Stephanie Campbell. 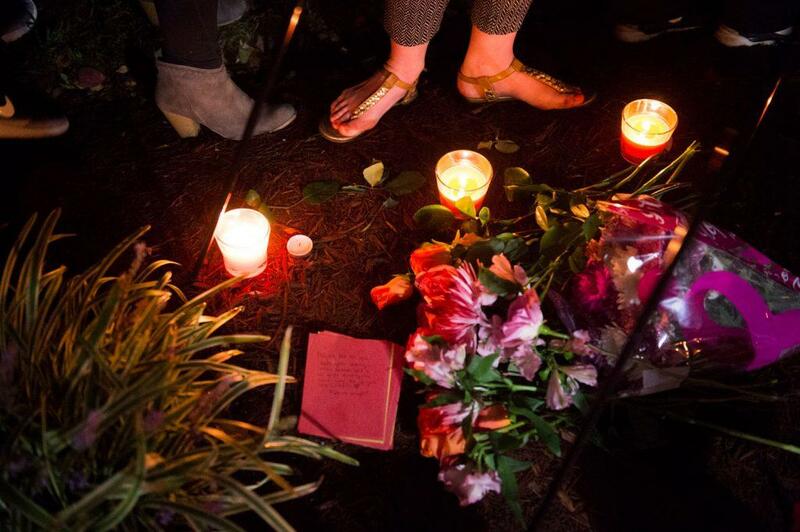 She was one of a large group gathered for a vigil in front of the Alpha Gamma Delta house. Alpha Gamma Delta alumnus Rosa Jacobs laughs as she remembers Stephanie Campbell with friends and family at a vigil for in front of the Alpha Gamma Delta house.